Welcome to the Mahaney & Pappas accident and injury blog. Here you will find information and views about Massachusetts personal injury cases, such as car accidents, trucking accidents, motorcycle accidents, and slip and falls as well as information and thoughts on Massachusetts workers’ compensation cases. The blogs are put together by our legal team and focus on new and developing issues on injury cases, recent news about accidents and tips and recommendations for accident victims. If, after browsing our blogs, you have questions about your case or injury or would like a free case evaluation, call us toll free at (888) 277-7413, call our main office at (508) 879-3500 or contact us online. It just might be the best decision you make. Winter Creates Hazardous Driving Conditions in Massachusetts Snow, ice and freezing cold temperatures in Massachusetts are major contributors to dangerous driving conditions. Serious accidents and injuries are common in snowy conditions. Car Crashes in Massachusetts Increase over New Year's Eve New Year's Eve is a fun time to spend with family and friends. But, there are many drunk drivers on the roads and highways. Be careful this holiday. 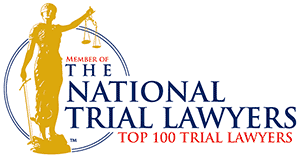 Attorney Charles S. Pappas | One of 10 Best in Massachusetts The American Institute of Personal Injury Attorneys selected Attorney Charles S. Pappas as one of the 10 Best in Massachusetts for Client Satisfaction in 2018. Tragedies of Drunk Driving During the Holiday Season in Mass Drunk driving accidents during the holiday season can make a wonderful time of the year turn into a tragedy. But, a Massachusetts accident attorney can help. Holiday Parties in Massachusetts Can Result in Accidents It's the season for company holiday parties in Massachusetts. Holiday parties are meant to be fun but sometimes may lead to serious accidents and injuries. Increased Traffic During the Holiday Shopping Season in MA The holiday shopping season in Massachusetts causes an increase in both vehicle and pedestrian traffic. This also leads to an increased risk of being injured in an accident. Accidents Tend to Increase Over Thanksgiving | Drive Safely With increased travel and traffic expected over the Thanksgiving Day holiday, be sure to drive safely. Car accidents can cause serious and traumatic injuries.